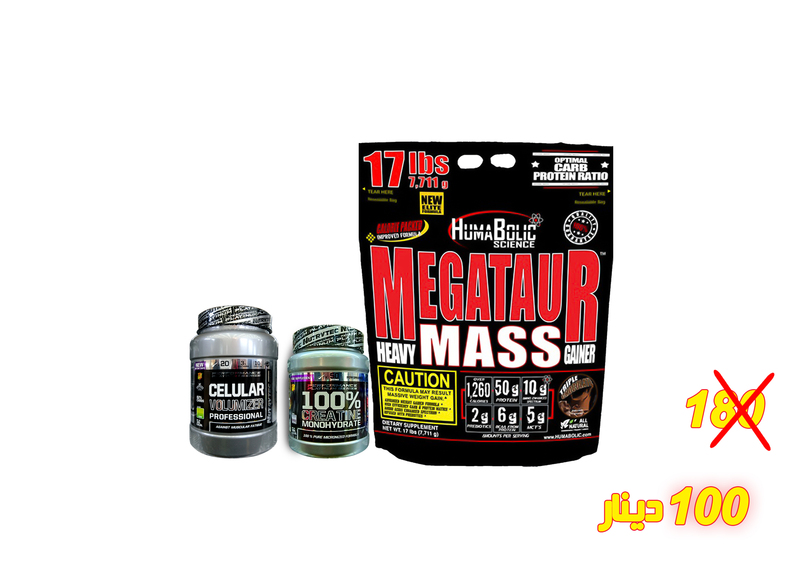 HUMABOLIC MEGATAUR MASS is a micronutrient-dense gainer formulated for MEGA mass gains. Providing over 1260 calories and fortified with amino-enhanced spectrum, prebiotics, and healthy Medium Chain Triglycerides (MCTs). The 6 grams of naturally occurring BCAAs is an extra advantage.